For my next radio station visit, I toured college radio station KHDX-FM at Hendrix College in Conway in early October, 2016, Arkansas. 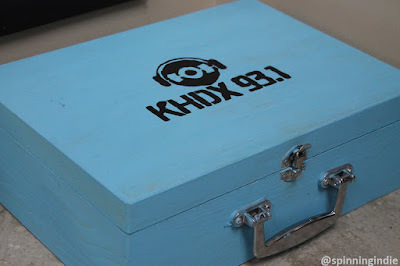 A class D FM radio station, KHDX is notable for the wide range of creative projects led by its DJs and show hosts. I was also excited to meet up with four KHDX staffers soon after my visit at the Grassroots Radio Conference. While on a trip to Arkansas for the Grassroots Radio Conference, I made some time for a handful of radio station visits. 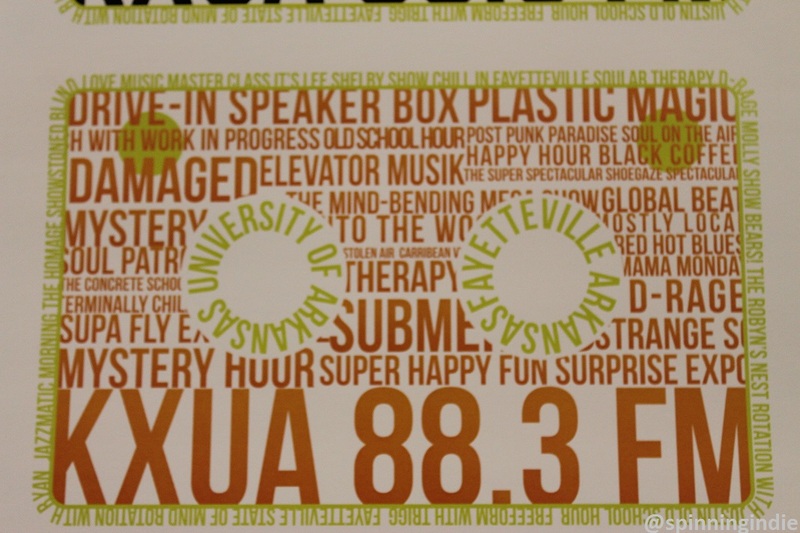 My first stop, on October 6, 2016, was to see college radio station KXUA at University of Arkansas in Fayetteville. 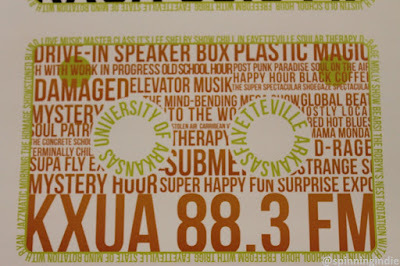 The student-run college radio station launched over FM in 2000, although student radio activities on campus date back to the 1970s. Read my full report on Radio Survivor and also take a listen to Radio Survivor Podcast #69 for my audio tour of KXUA.